It's August and time for a little Birthstone Trivia and Inspiration. Last month we talked about Rubies. If you were born in August, the commonly associated Birth Symbols for the month are the Peridot as your Birthstone, your Zodiac sign is Leo, and the Poppy or Gladioli is your flower. Peridot is believed to bring power and prosperity to the wearer and to symbolise truth, loyalty and honesty. 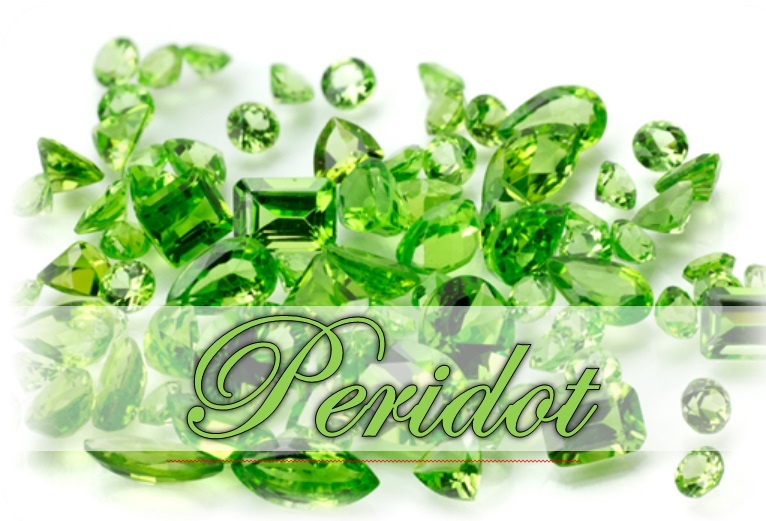 It is believed that the name Peridot is derived from the French word peritot, which means "unclear". Peridot forms deep inside the Earth and is brought to the surface by volcanoes which is why in in Hawaii, this gemstone is believed to be the tears of Pele, the goddess of fire and volcanoes. If you were born in August you share the Peridot as your birthstone with some wonderful celebrities including Chris Hemsworth, Charlize Theron, Barak Obama, Martha Stewart and many more. 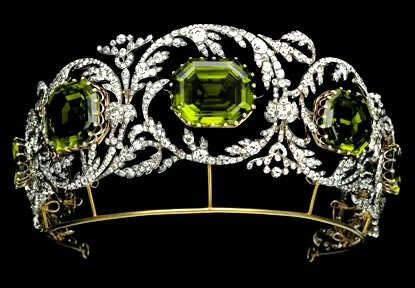 The gemstone commonly associated with the 16th Wedding Anniversary is Peridot. Peridot is not the most popular and abundant gemstone used in famous jewellery as it does not have the popularity of the ruby, sapphire, pearls and diamonds but this beautiful tiara is a perfect example. The Peridots in this piece are a deep olive green and beautifully clear. This Tiara, which is part of a parure could be adjusted so that the pendant drops from the necklace could be attached to the tiara and was made in the 1820s by the Hapsburg Imperial Jeweler Kőchert, for the Archduchess Henriette, wife of Archduke Karl of Tuscany and was passed down through the generations until 2000 when it was found forgotten in the vault of a female descendant of the family on her death and was subsequently sold by Sotheby's for over £400,000. Looking for a gift for someone with an August birthday, visit my PInterest board 'Birthstone Inspiration' for some great birthday gift ideas from the affordable handmade jewellery on Etsy to luxury items and a little non jewellery Peridot Green Inspiration in the form of candles, soaps and gift ideas all inspired by the colours of this beautiful gemstone.